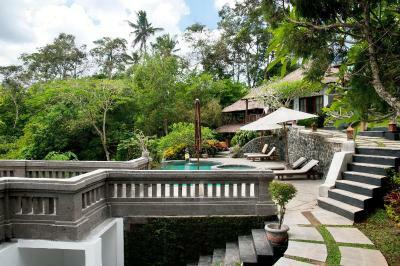 Lock in a great price for Ubud Dedari Villas – rated 9 by recent guests! 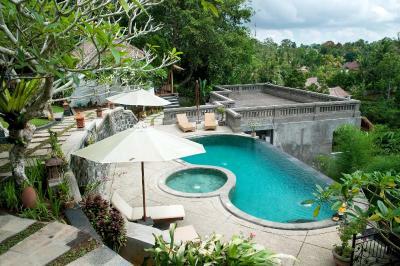 We really enjoyed our stay there, basically, this is a local house and there are some villas for tourists. You can see the local life, be a part of it, and this what makes this place awesome! 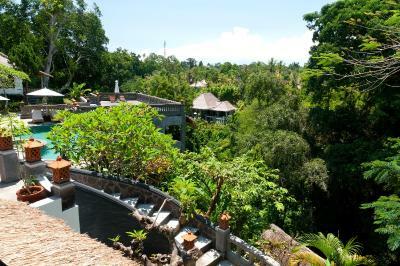 Wonderful staff, gorgeous view over the jungle, and a spacious villa. We loved having breakfast on the balcony in the mornings and the outdoor bathroom. We're looking forward to staying here again. 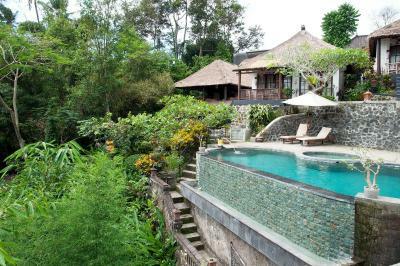 We stayed 1 week at the Dedari Villas and this place is really amazing: the quiet location, the jungle view, the beautiful infinity pool, the VERY friendly staff. 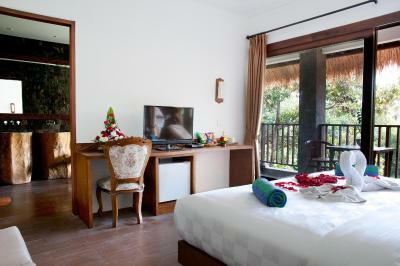 The room was clean and quite big for 2 ppl, with a huge terrace (I advise you to pick Villa #10 of available). It’s exactly what we were looking for and we will definitely go back. The veiw and the staff . 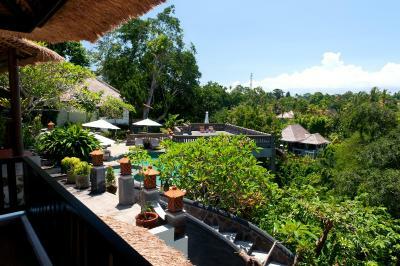 I have nothing to complain about it was the best place i stayed at in bali . 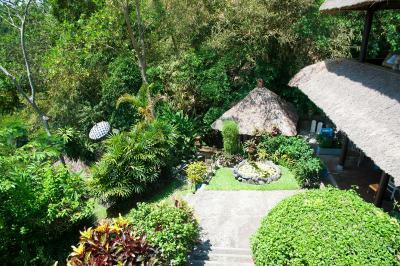 The staff were perfect and the place is nice and the facilities were good .. the breakfast was great and the view was good . Free transportations to the centre . 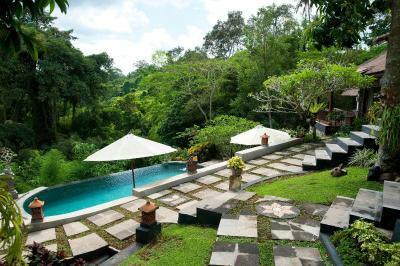 The pool with the view, the sense of privacy in the middle of the jungle and the service. 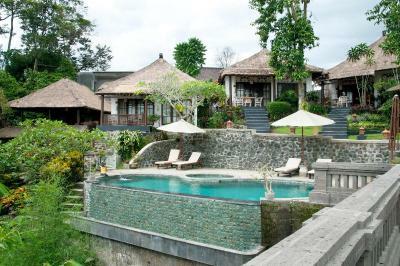 Ubud Dedari Villas This rating is a reflection of how the property compares to the industry standard when it comes to price, facilities and services available. It's based on a self-evaluation by the property. Use this rating to help choose your stay! 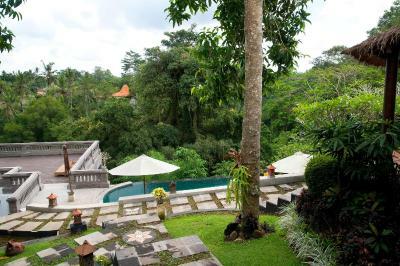 Dedari Villas is located a 1.5-hour drive away from Ngurah Rai Airport and 10 minutes from Ubud Center’s shopping and dining areas. An airport shuttle service is available on request. 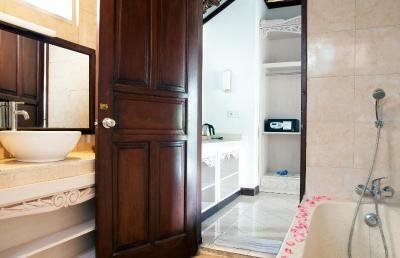 The beautifully designed rooms feature a private bathroom with an open-air bathtub and toiletries. 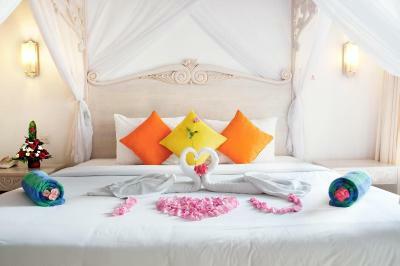 They are well equipped with a mini-bar, a flat-screen satellite TV and a safety deposit box. 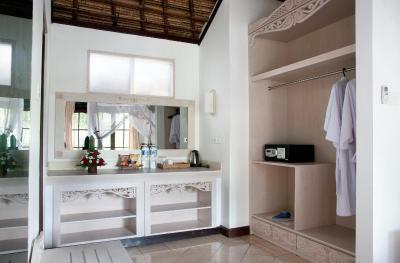 The Villas provide laundry and dry cleaning services, as well as, a tour desk. 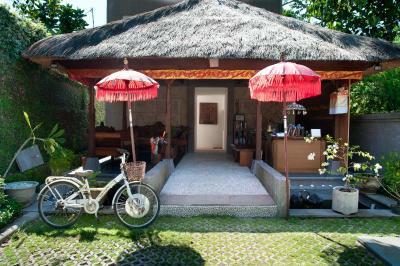 Guests can also rent a car or motor bike to explore the region on their own. 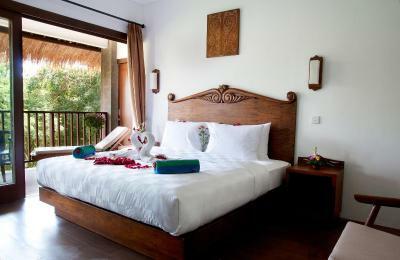 When would you like to stay at Ubud Dedari Villas? 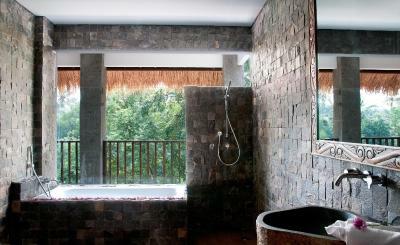 An air-conditioned room with an private bathroom and views of the rainforest. 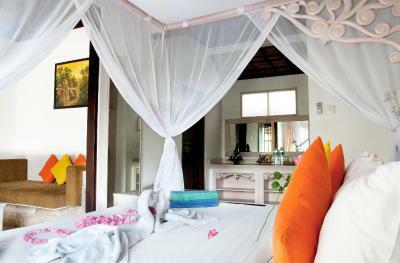 This villa features a balcony, air conditioning and DVD player. This family room has a cable TV, tile/marble floor and patio. 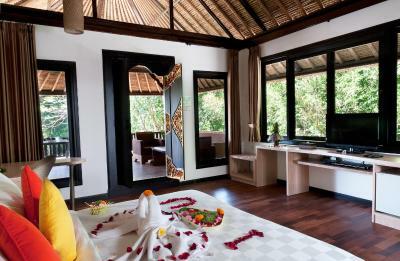 House Rules Ubud Dedari Villas takes special requests – add in the next step! 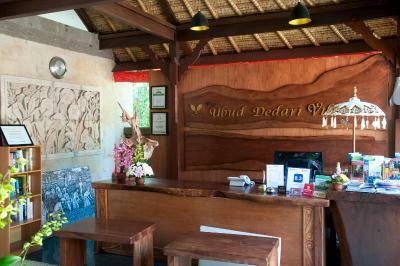 Ubud Dedari Villas accepts these cards and reserves the right to temporarily hold an amount prior to arrival. 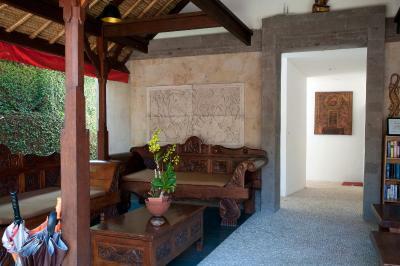 Please inform Ubud Dedari Villas of your expected arrival time in advance. You can use the Special Requests box when booking, or contact the property directly using the contact details in your confirmation. Perhaps they could start breakfast earlier for visitors who have early morning itineraries. Or maybe prepare some food the day before as I understand staff do not start work so early. Customer service was excellent. Rooms were clean although there was a lizard lingering outside our balcony every night. But that’s what you get for living in a rainforest. We asked for customization in the breakfast provided and it was an easy task for them but they couldn help us on it. Shower water does not drain then its raining outside. On arrival we found bunches of long hair on bed and in shower. Aircon is a miracle in this place. Ice cold water supply in room is much appreciated as well. Little far from the airport, but can't complain, worth the wait. The staff was really courteous and warm. The pool view and food were great. The room felt very nice and welcoming. The scattered Firangipani was our experience very special. Overall a great place to be. We honestly could not fault a thing. The view was so tranquil and serene. The bed was one of the most comfortable we have ever slept on. The breakfast was delicious! 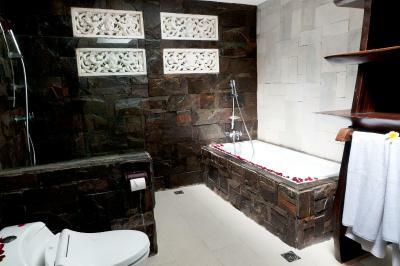 The bathroom was amazing! The staff so friendly and accomadating. Just loved everything! the fountain in the pool light in the pool and there could have been more lights and the one you have is very loose the space and paths around the pool (safety) the quality and the condition of the rooms could have better ( more fans) Access to the lower rooms where not good because of the stairs and some people might have injuries so its hard for them to walk up and down. A little paradise within the rainforest. The staff is amazing, helpful and very adorable ! I definitely recommend and I am already planning my next trip here ! 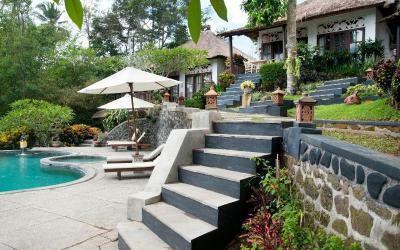 Beautiful accomodation just outside of Ubud town. 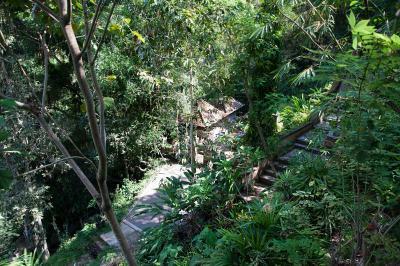 Nice & quiet location in amongst the jungle. We got upgraded to a villa which was amazing, very spacious and had a pool view. The bed was comfy, bathroom had a nice 'outside' shower. Breakfast was served on our patio each morning. 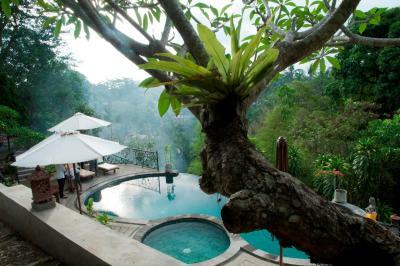 The pool was amazing with views over the jungle. 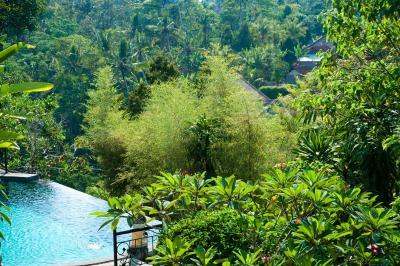 There is a free shuttle going into and returning from ubud 4 x per day which was handy. All the staff were really nice and always willing to help. 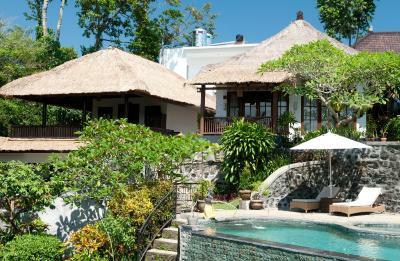 These villas are beautiful! The setting is like being in jurassic park, right on the side of a jungle valley, just a short drive/walk from Goa Gojah. The service we recieved was incredbile, the pool and views were stunning too. 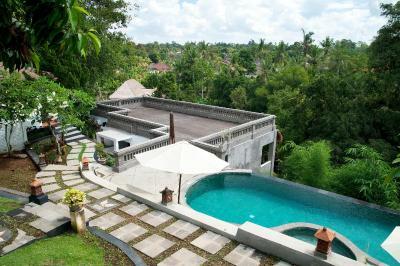 The free shuttle bus is something we took advantage of, with regular trips into Ubud. The reception was able to organise cars for day trips very easily. Dont be fooled by the questionable drive and entrance to the villas, they very quickly open up. I wish we had time on our trip to make a retun journey, as it was amazing. Thank you Dedari!! Nice pool view. Quiet neighbourhood. Staff was friendly and helpful. I also rent the scooter from them. Big bed and big villa also. Free shuttle to Ubud. Coffee and tea in the room and hot or cold water all day.